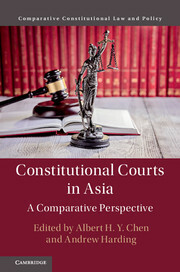 ‘A GLOBAL PHENOMENON’: CONSTITUTIONAL COURTS IN SOUTH AND SOUTH EAST ASIA ARE PLACED UNDER SCRUTINY IN THIS ABSORBING COMPARATIVE STUDY An appreciation by Elizabeth Robson Taylor of Richmond Green Chambers and Phillip Taylor MBE, Head of Chambers and Reviews Editor, As one of the latest titles from the ‘Constitutional Law and Policy’ series published by the Cambridge University Press, this book shines the light of analysis on constitutional courts in South and South East Asia. There are seven of them: Taiwan, South Korea, Mongolia, Cambodia, Thailand, Indonesia, and Myanmar. 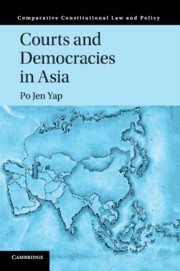 And in the interests of providing further comparative perspectives, attention is drawn to certain East Asian countries which do not have a constitutional court, namely Japan, the Philippines, China and Viet Nam. By now you are probably, or possibly, thinking that anyone involved in foreign policy, or in any aspect of global geo-political matters should have a read of this book. 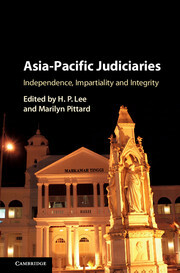 Editors, Albert Chen and Andrew Harding of the University of Hong Kong and the National University of Singapore (NUS) respectively, have brought together in this volume the work of a distinguished international team of scholars, all of whom have contributed essays on specific aspects of this subject, many based on conference papers presented at the Sixth Asian Constitutional Law Forum at the NUS. Read their biographical details and be overwhelmingly impressed. 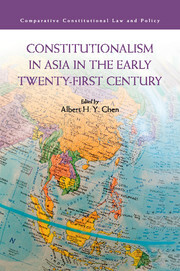 Commenting on the significance of this book, Professor of Law, Alec Stone Sweet of the NUS refers to one of the key questions which have animated this project, namely: ‘why have some constitutional courts succeeded in transforming their political environments…while others have failed?’ The title of the book’s first chapter by Albert Chen – ‘Constitutional Courts in Asia: Western Origins and Asian Practice’ -- is perhaps indicative. He goes on to point out that in these early decades of the twenty-first century, constitutional courts exist and operate in all corners of the world. 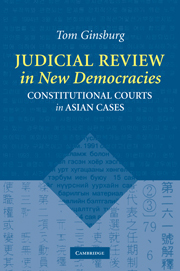 ‘They are a global phenomenon,’ he adds, ‘that deserves scholarly investigation from legal doctrinal, theoretical and comparative perspectives.’ Here then, is an erudite and informative comparative study which illuminates certain contemporary issues raised by the differences and similarities between these more than seven constitutional courts under scrutiny. 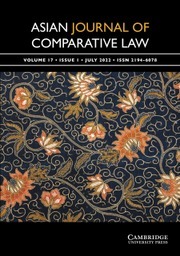 For practitioners as well as scholars in comparative law, the book also functions as a convenient source of references -- via the copious footnotes -- for those undertaking detailed research is this area of study. 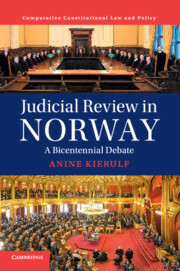 The information and insights therein will certainly make a valuable contribution to the ongoing debate worldwide, on the formidably wide range of issues pertaining to constitutional reform. 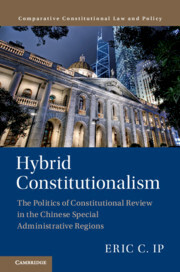 The date of publication is cited as at 20th September 2018. 14. 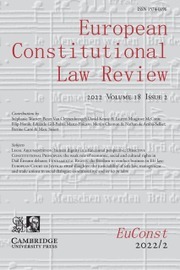 Why do countries decide not to adopt constitutional review? The case of Vietnam Ngoc Son Bui.